Built on a sturdy Stainless Steel frame, we have a non-porous acrylic shell which resists mold, stains and wear spots. This is far superior to a gel coat produced bath. The patent door and jamb are made from aluminium and the lock is very easy and safe to operate, and comes with a lifetime guarantee.With a 550mm inward opening door this bath is easy to access. This Stamford Walk In Bath 75 gives a bit more room than the Stamford 66. 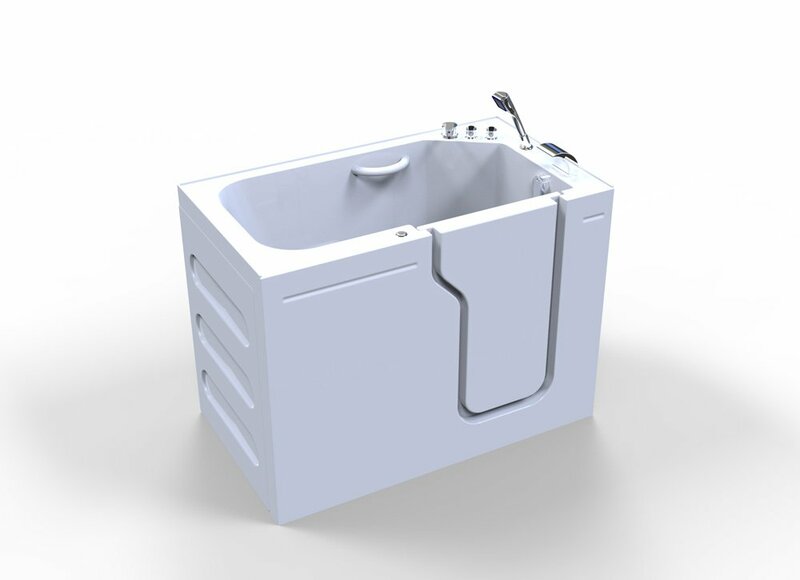 As with the Oakham, this bath has the superior box section and stainless steel frame. Maximum user weight 35 stone. Add this Stamford Walk In Bath to your shopping cart or alternatively, you can download an order form and post your order to us here.